Athletic Director, Tami Kemp, with WCS track athletes. At WCS, students compete on athletic teams in Volleyball, Basketball, and Track & Field. 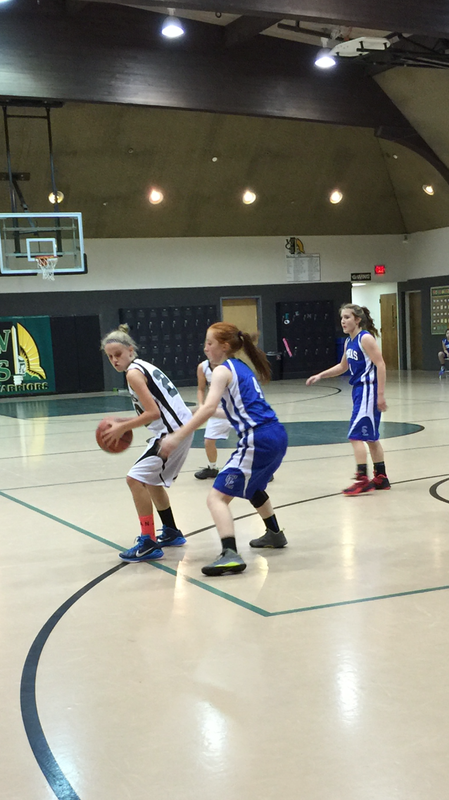 Willamette Christian School offers team athletics in grades 5-8. The primary purpose of the athletics program is to further the mission of the school to enable young people to discover relationship with God, develop a lifestyle of growth, deploy their gifts through serving, and demonstrate God’s love to our world. At Willamette Christian School we believe that athletics provides an opportunity for young people to face challenges and issues that are prevalent in society today. WCS athletics enable students to manage situations such as working in a team, and comprehending topics such as maintaining a Biblical worldview in the midst of competition. Our athletes learn to use the Bible as their “road map” for life when they deal with success and failure on the playing field. Students are then able to carry this practiced ability with them throughout their lives. The WCS athletic program works to develop our athletes not only physically, emotionally and socially, but encourages the growth of our students’ personal relationship with Jesus.